Hi friends! Jenn back from Deliciously Sprinkled! Today, I’m sharing with you one of my favorite summertime recipes, Fresh Fruit Salsa. 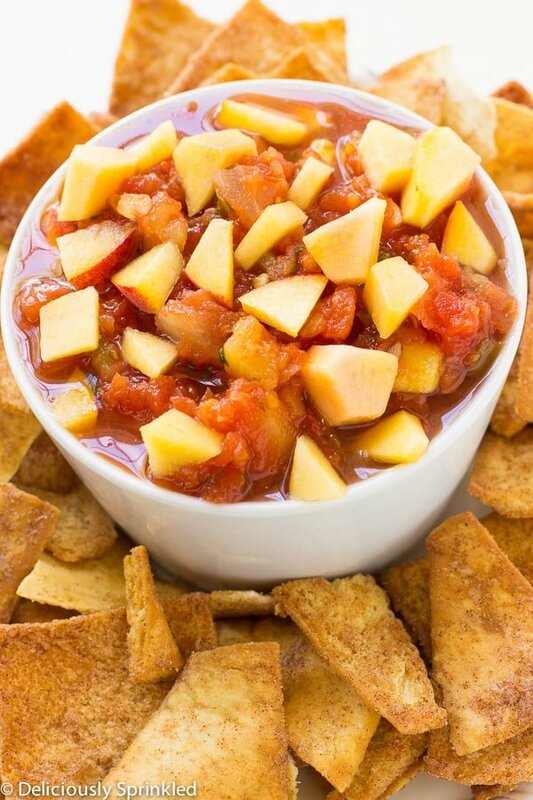 I make this salsa all the time in the summer and with Memorial Day weekend next week, it’s time to kick-off summer by making this Fresh Fruit Salsa. 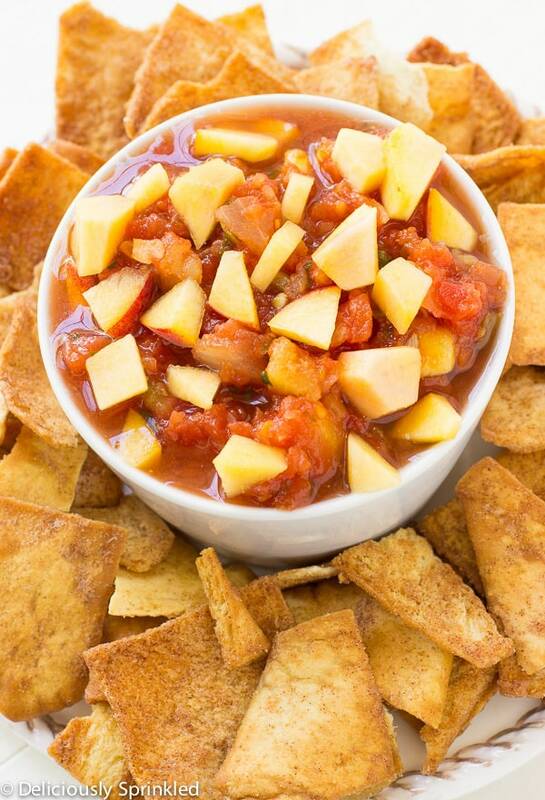 To make this salsa, all you need is a mango, peach, tomato, red onion, jalapeno, garlic, cilantro and some lime juice. Chop everything up, mix it all together and let it chill in the fridge for about one hour to let the flavors all blend together. You could also make this salsa the night before. 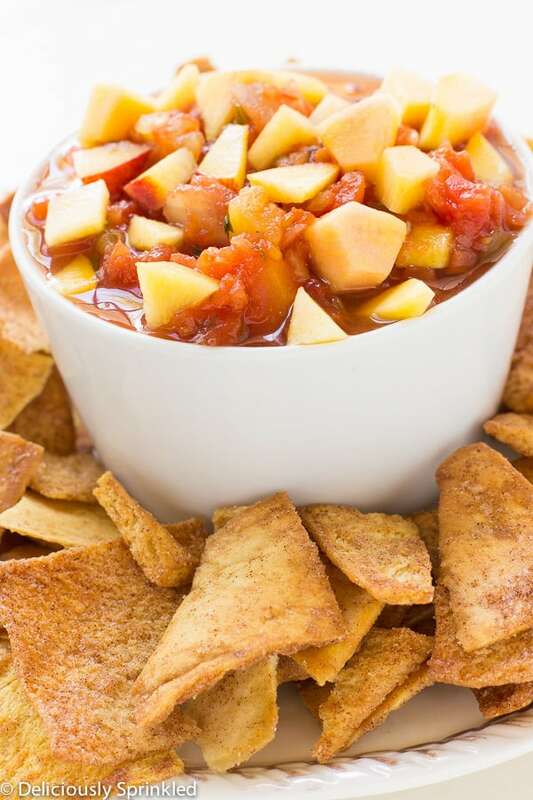 Once your ready to serve, I like to add a couple more chopped peaches and mangos on top of the salsa and serve them with cinnamon chips or tortilla chips. ENJOY & HAPPY MEMORIAL DAY! Combine all ingredients into a medium-sized bowl. Chill for one hour to let the flavors blend. Serve with cinnamon chips.